Should I send a hand-written or email thank you note after an interview? 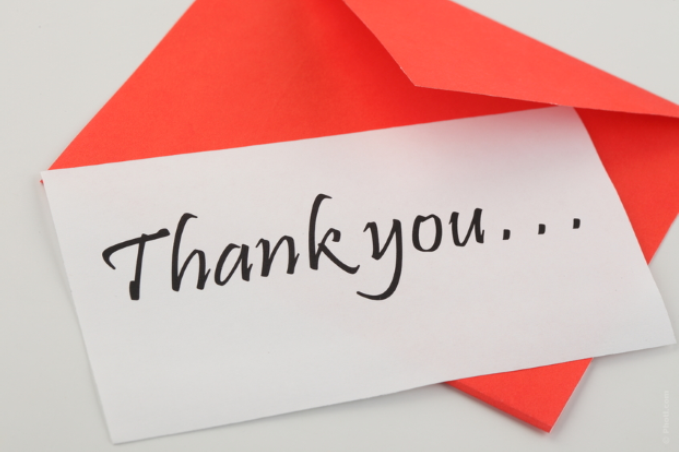 A well-written, sincere thank you note makes a good impression immediately after an interview. Send a separate note to each interviewer after a screening interview and personalize the message based on your conversation. If the employer indicates that decisions will be made relatively quickly, an email is appropriate. If the employer’s time table is a week or more, a handwritten (legible) note is appropriate. What should I say in my thank-you note after the interview? Thank you for taking time to interview me during my recent visit at Smythe & Smythe LLC. I enjoyed hearing your description of the environmental practice group’s needs, and I believe I would be a natural fit. I appreciate your consideration and look forward to connecting with you again soon. I interviewed with multiple people from the same employer, must I send a thank-you note to each one? If you interviewed with two or three attorneys, you should personalize a thank-you note to each. If your interview involves four or more attorneys, you may send a thank-you note to the main recruiting contact and ask that your appreciation be extended to the other interviewers.